With the arrival of spring though in fits and starts, it's more comfortable to spend more time, more frequently outside, in nature. 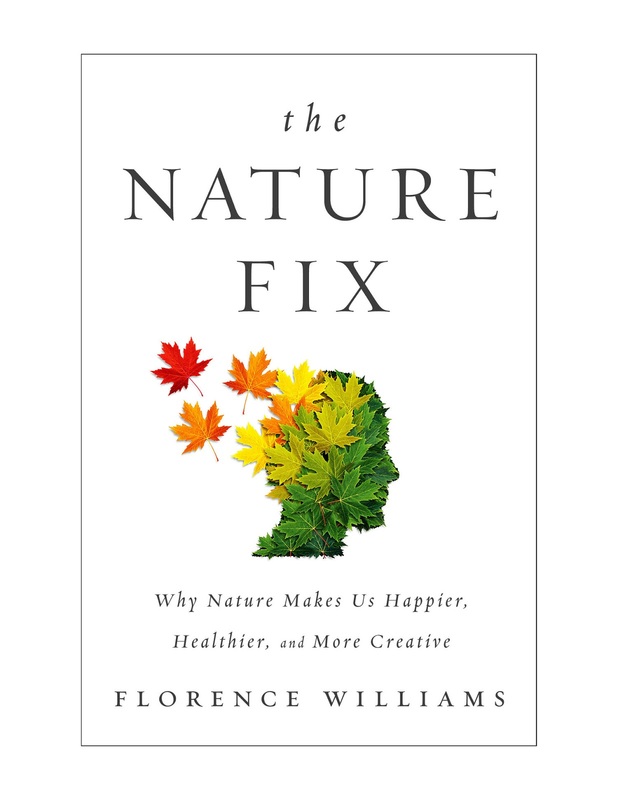 This is ultimately the takeaway from Florence Williams' new book, The Nature Fix: Why Nature Makes Us Happier, Healthier, and More Creative. Florence Williams is a meticulous researcher and talented writer. 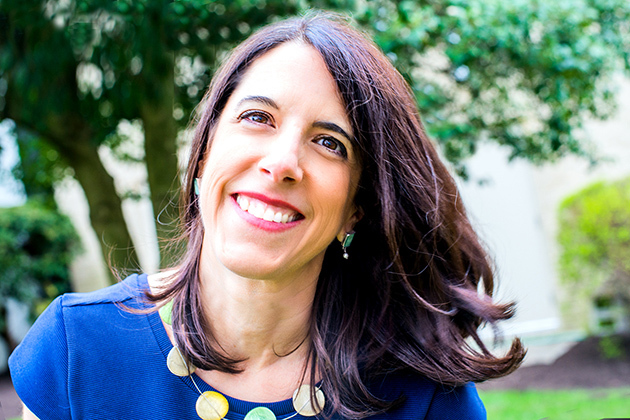 Her personable storytelling made me want to read more about the science behind our biophilia, and I'm already a fan of this type of information. Williams is a journalist and used that toolkit to gather data for this book. She was also a research subject, donning a portable EEG device to record her brain waves in different natural settings. Within the canon of research trying to definitively show that nature does make us happier, healthier, and more creative, Williams observes that Western researchers, generally speaking, tend towards determining how much and what types of nature exposure lead to preferred outcomes as well as developing technological substitutes for nature. In part one of the book, "Looking for Nature Neurons", Williams examines the motivations and goals of Western and Eastern scientists who study the "nature-creativity-productivity" axis. One of the unique aspects of The Nature Fix is Williams' consideration of more than the visual relationship humans have with nature. In the context of nature most proximate to us, she explores the information we receive in the first five minutes via smelling, hearing, and seeing. Williams' goes deeper into how much time we need to be exposed to nature to reap its benefits which begs the question about what types of nature can support extended exposure. These issues are explored in parts three and four of the book. Since much of humanity lives in urbanized areas, it's fitting that Williams addresses how humans can make the most of and expand upon existing nature in their cities. Do you take purposefully deep breaths when you enter nearby nature? I'll pause here and note that "nature" in The Nature Fix, and this is not unique to this book, seems to be implicitly defined as a geographic space with boundaries, such as a yard, an urban or national park, a garden, a nature trail or a woodland. Back to breaths. When we smell nature, there is an unconscious psychic response to the absence of, or in all likelihood reduction in, air pollution. The nose is the "thruway to the brain". We likely smell how good a place is for us before we register the visual or auditory cues. Now what about tuning in to the auditory signals emanating from nature? Because of our reliance on sight, sound is not "the secret weapon of the nature cure," writes Williams. Yet, one of the noticeable absences as you move along the urban to wild gradient is manmade sound. You can hear more of the natural soundscape. A common nature-making strategy in cities is to reduce human noise by adding in natural sounds such as falling water. (Falling water is also visually appealing and moderates microclimates.) Florence Williams writes about the waterfall in Cheonggyecheon Park in Seoul which dims the din of the adjacent roadway. There are many examples of waterfall bedecked parks in U.S. cities. The most famous one in New York is Paley Park on 53rd Street between Madison and Fifth Avenue. Even if sound is not a primary mode of experiencing the environment for humans, it is for other animals, for example, birds. Reading this section of the book, I recalled numerous articles* within the last decade about the changes in bird call and song volume and frequency in response to the noisy urban soundscape. Seeing nature is the most significant exposure pathway to nature which makes me curious about how people who have sight disabilities compensate with their other senses. An influential study of hospital recovery times between patients with and without views unto nature was conducted by Robert Ulrich and published in Science in 1984. (By the way, Ulrich's work is one of the core pieces of literature read by students of landscape architecture, environmental planning, and allied fields.) Florence Williams also discusses another classic study of visual exposure to nature, this one by Frances Kuo and William Sullivan in 2001. Kuo and Sullivan show that views of trees and grass as well as time spent in landscapes vegetated with trees and grass led to more prosocial behaviors. Some scientists are exploring the benefits of viewing nature imagery versus real nature. 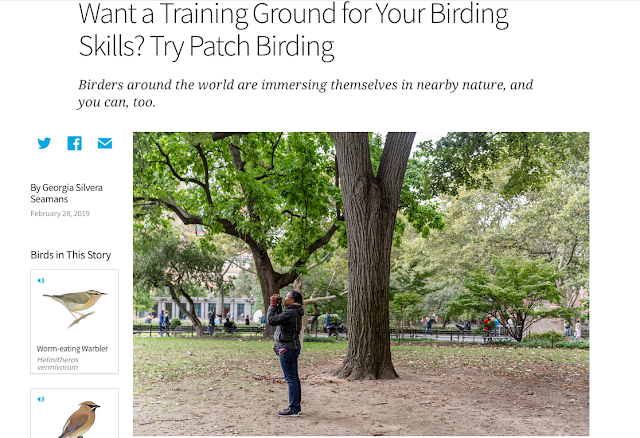 This approach has shown "fast, positive responses," but the co-benefits of looking at real nature or spending less time looking at screens is significant. One is ocular health; less exposure to sunlight can increase the risk of myopia! Spending time outside, in nature, is good for you. But how much time? Williams explores time prescriptions - what is the optimal amount of time one needs to spend in nature to achieve maximum happiness, health, and creativity benefits? What does the "dose curve" look like? Are five hours per month enough? Liisa Tyrvainen of the National Resources Institute of Finland argues yes. Tyrvainen and her team observed that more is more when it comes to nature exposure. But there are more questions. What role does frequency play? What about degree of natureness? (I made up this word.) What about the state of your mental health or cognitive ability? Williams dives into these issues with her participation in a weeklong, 81-mile rafting trip with the Higher Ground program for former and current military members suffering from PTSD. She also profiles Zack, a boy with ADHD who attends SOAR, an outdoor adventure boarding school for grades seven to twelve. I believe that on the whole nature is good for you. Williams' attention to the role that nature can play in improving health outcomes for people suffering from serious psychological trauma as well as improving cognitive and emotional outcomes for children is admirable. I found these two stories to be the most poignant in the book. As a city/nature person, I appreciated that Williams ends her book talking about cities. She asked, "Is it even possible that megaurban habitats could provide [hits from a full spectrum of doses of nature]? and went to Singapore to find the answer. She was enthusiastic about the high percentage of real greenery but less so about the presence of technological forms of nature and the low amounts of wild nature. A critical observation she makes about Singapore is about the importance of "a strong governing vision." To weave quality nature throughout an entire city requires government commitment via policy, design, and financing. Thinking about the fake "Supertrees" in Singapore, Williams reflects on the value of real trees in cities, their myriad co-benefits such as carbon storage, urban cooling, and air pollution removal. As well, Williams talks about doctors prescribing time in city parks and organizations promoting the benefits of passive and active recreation for everyone and making nearby and distant greenspaces more accessible. Finally, sometimes nature helps you to notice and to appreciate the nature of the city. Imagine: a blizzard. Plane and vehicular traffic stops. You walk along the local canal You hear a natural quiet. Then you hear the songbirds. The Nature Fix is a lively exploration of the science and intuition behind the myriad benefits of spending time in nature. Williams prose is both intelligent and approachable. You'll enjoy reading the book and broaden your understanding of how nature works makes us well beings. A review copy of The Nature Fix was provided by W. W. Norton. P.S. Watch this video: The Nature Fix - What Happens When You Spend Just 5 Minutes in Nature?